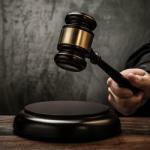 It is fun to watch people with no law degree attempt to fool anyone around them that they know more than an actual working judge. I think they don't understand the court doesn't actually make laws. 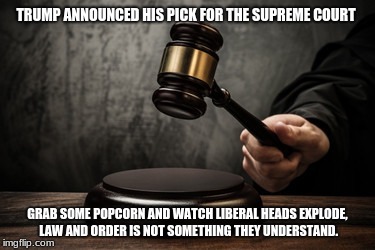 TRUMP ANNOUNCED HIS PICK FOR THE SUPREME COURT; GRAB SOME POPCORN AND WATCH LIBERAL HEADS EXPLODE, LAW AND ORDER IS NOT SOMETHING THEY UNDERSTAND.